The most colorful festival of the year arrives every spring. 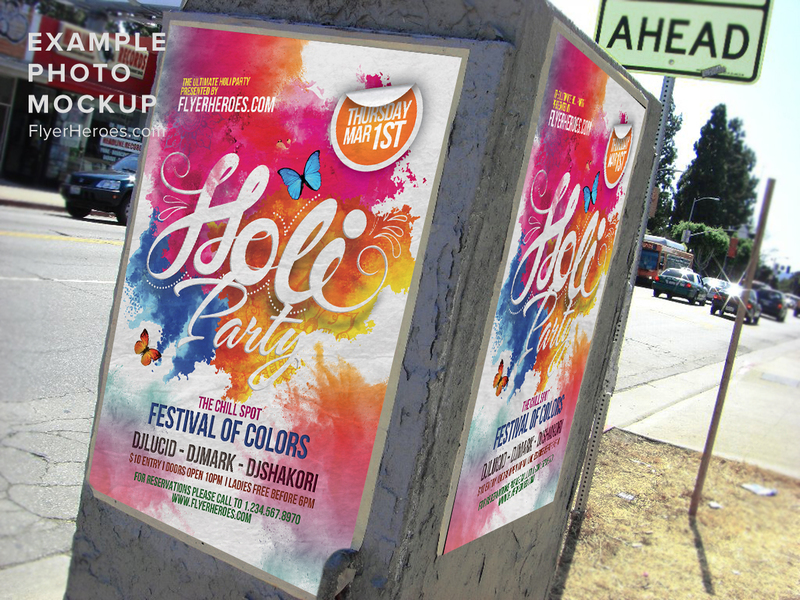 Is your venue celebrating the Hindu “festival of colors” this year? 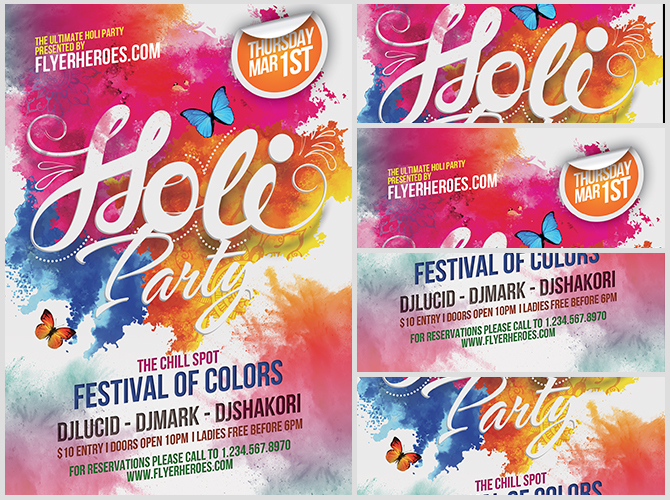 FlyerHeroes has created a colorful flyer template to help you spread the news of your Holi event, which so many people are anxious to celebrate. Why not? It’s a fun and festive way to cheer on the arrival of spring while drenching friends, family members, and strangers, with bright and beautifully-colored Holi powder. 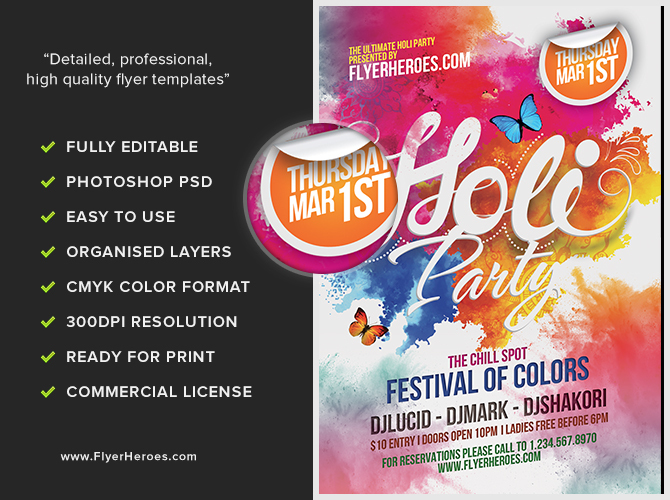 Within the time frame than it takes to shower off a thick coating of Holi powder, you’ll be printing out a professional-looking Holi flyer that will attract masses of Holi celebrants to your Holi party. Because the celebration has become more popular with non-Hindus as well as traditional Hindu celebrants, there are even more opportunities for you to distribute this flyer to a wider variety of clients and venues. Distribute in local supermarkets, Hindu shops, temples, churches, community centers, schools, and more. Post it on bus shelters, or on library and office bulletin boards. How about distributing in high-traffic zones such as in front of fast food restaurants? 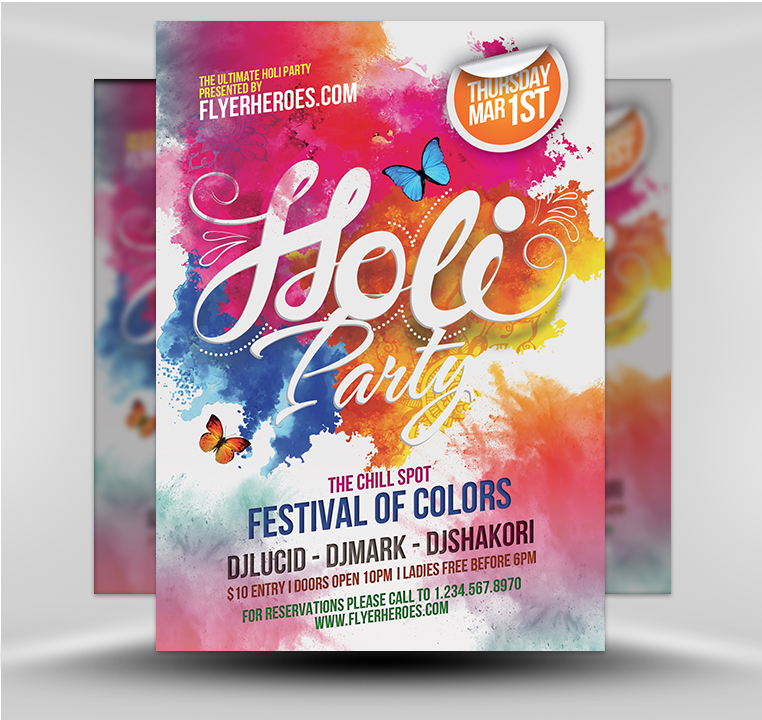 This colorful festival of love and forgiveness is the perfect time for you to discover how truly effective our promotional flyers are, especially when they are as attention-getting as our colorful Holi celebration party flyer.